Imagine getting up and starting your day in a world without numbers. Like many things, we take numbers for granted. I challenge you to go through your day without using numbers. From birth to death, you re a number. In most cases, you are a series of numbers. The physical side of numbers are used in some concrete way. There are many different systems used for determining the deeper meaning behind the written word. 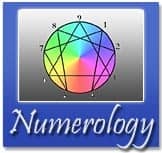 The most commonly used today in the West is a system fathered by Pythagoras, which has evolved into the form of modern numerology. The Master Numbers are numbers that are not reduced further to a single digit. They have a high frequency vibration. The numbers eleven, twenty-two, and thirty-three are the most commonly recognized Master Numbers. The personal year number will help you see in advance the theme for the year. Is it a good year to start a new job, change your residence, or begin or end a relationship? You are the spark, the leader of all things that follow. You're willing and naturally assume the lead in adverse circumstances that most would dread or fear. Two is consort, adding partnership and receptivity; you will bring tact. The need to belong and being secure is vital to your well being. Security is a major need. You are gifted in writing, communicating, speaking, and strategizing. You have a need to express yourself in whatever way you can; by using your body, voice, art, etc. In essence you’re the number of the Earth, of the garden and of stability. It brings order. You’re loyal and honest and have an accuracy at work demanding great concentration and you have a forceful ambition. A five will be filled with curiosity. The desire to experiment is important for your creativity. However, freedom and constant change is enjoyed. You are a wonderful host and probably like to cook. You will make a superb teacher and parent. You will attract sincere friends and sudden opportunities. You are constantly balancing ideas. Putting things into prospective gives you super analytical powers. You are a people person. You love being in the public eye and have a way with words. You are a great researcher and investigator. You love delving into enticing, mind-teasing mysteries. You are high minded and yet surprisingly conservative at times. In essence you are the embodiment of the number itself: selfless, concerned with humanity and bringing compassion. Often you are omniscient. You love and should travel. Number 1 in essence - you are the spark, the beginning. Number 10 shares the same with number 1 but the 0 places a tenfold on certain tendencies. You are in essence a 2. Two is a consort, adding partnership and receptivity; you will bring tact. Granted you are an 11 which is our first so-called Master number. In essence a 3 synthesizing on both the 1 & 2 but brings expansion and joy. You have a complex understanding of the differences between illusion is and reality. In essence a 3 synthesizing on both the 1 & 2 but brings expansion and joy. In reality you were on the 12th which expands to you have a complex understand of what illusion is and what reality is.